Peter Palmquist was an amazing independent photo historian: he was a prolific writer, a phenomenal researcher, and particularly enthusiastic champion of women photographers. He had a real talent for discovering information about early women photographers, working in the days before digital archives, which nowadays have made so many materials available online. I have put links to a few of my favorite books by him in the Recommended Links section below. As I mention in today’s episode, one of Palmquist’s first projects was an in-depth look at the life and work of Emma Freeman. 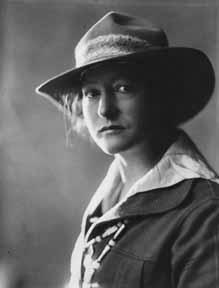 She’s the subject of his book, With Nature’s Children; you can also read Palmquist’s short essay about her here. In fact, you can find several of his essays at Women Artist of the American West: Women in Photography Archive: 100 Years of California Photography by Women 1850-1950. In addition to the overview, there are essays on a number of individuals, including samples of works (when available) by each photographer, as well as a bibliography of any material written about her (often including references to journal articles by Palmquist). Abigail (“Abbie”) E. Cardozo (1864-1937) was forced into marriage at age 14 by her parents; her husband was nearly twice her age. When she opened her first photography business at age 33 she was divorced with three teenage daughters to support, yet she not only competed favorably with the three other galleries in town – operated by men – but successfully outlasted them all. Another great resource includes the Peter E. Palmquist Working Photograph Collection at Humboldt State University. The finding aid for the collection can be found here. Note that there are 3,700 images by photographers that Palmquist collection that can be searched online through the Humboldt Room Photograph Collections database. It’s fantastic, as you can view works by Emma Freeman and Abbie Cardozo, and Elizabeth Withington among others. Plus, there’s a separate Palmquist/Yale collection at Humboldt State as well, which digitized a portion of the Palmquist collection at Yale, by special arrangement between Yale and Humboldt State. You can view that collection online here. In the links below I’ve also included links to online finding aids to the Peter Palmquist Collection of Women Photographers at the Beinecke Library at Yale. Although only a small portion of the photographic works are online, the newly available database and the finding aids point to Peter Palmquist’s fabulous legacy of his resource on early women photographers. Finally, be sure to check out the wonderful tribute to Peter Palmquist over at the brand-new website about The Peter E. Palmquist Memorial Fund for Historical Photographic Research. Pam Mendelsohn, Peter’s lifetime companion, founded the Fund, and on the website, she catalogs and celebrates the research helped by the Fund over the past 15 years. It’s a wonderful tribute to the ongoing impact of Peter Palmquist’s life, work, and legacy to the world of research on the lives of early women photographers. In today’s episode I offer a brief tribute to the great independent photo historian Peter E. Palmquist. 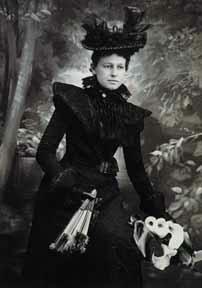 Here on Photographs, Pistols & Parasols we celebrate the stories of early women artisan photographers. However, on this special episode of the podcast, I want instead to offer a quick tribute to a man who was an independent photo historian , a man who singlehandedly resurrected the lives of dozens of women photographers, and did further research that points the way to uncovering thousands more. That photo historian’s name was Peter Palmquist. Peter Palmquist was born in Oakland, California in 1936. He was interested in photography from a very early age; he taught himself how to do photography, as a matter of fact, at the age of twelve. As an adult, he first worked as a photographer in the army, and then later he was employed as a university photographer at Humboldt State University in Arcadia, California. He retired from that position in 1989. Today, though, I want to focus not on his work as a photographer, but rather on his work as an independent historian of photography, work that he started doing on his own in 1971. When the owner found out that he was photographer, though, she presented him with a handful of old photographs, and said that he should consider collecting things like that. The photographs were old ones taken in and around Humboldt County, the region where he was living, and where he’d actually grown up. The photographs really intrigued him, because he saw names of photographers on them that he’d never heard of. And that moment was the beginning of his fascination with collecting old photographs. But he wasn’t content just with collecting the photographs — he was also very eager to collect the stories of the photographers behind photographs. He started looking into the history of both male and female photographers in the area from the early days of photography. Early on he became intrigued by the fact that he was discovering a lot of women photographers who are active in the late 19th – early 20th century, particularly in Humboldt County. One day, looking through an old photo album that someone else’s family happened to have, he ran across some very curious photos – of native Americans, but they were kind of romanticized, and he wasn’t really sure what to make of those photos. They were from around 1915, and he really wanted to know more about them, and also about the photographer who was listed on them: a woman named Emma B. Freeman. Her studio was listed as having been in Eureka, California just down the road from Arcata. Armed with her name, location, and the approximate dates that she did photography, he set out on a quest to find out more about her. He spent the next two years going to libraries, reading 40 years worth of old newspapers on microfilm. I don’t know if you’ve ever use a microfilm reader yourself, but I can tell you it is not easy. Because this is the type of thing where you’re struggling with the machine, you’re struggling with the microfilm reel, you’re trying to get the thing in focus, and then once you do get in focus you have to very slowly go through the entire reel. I mean, it’s not like digital searches where you have key words and things like that. You actually have to go through the reel bit-by-bit-by-bit. And then, for most of the readers, once you find what you’re looking for, you have to figure out how to make a copy of it — maybe take a photo of the machine’s screen, or try to get a printout (some of them would be hooked up to printers). It’s very tedious, very time-consuming, and it requires a lot of patience. But luckily Peter Palmquist had the patience. So after two years he’d collected enough information about Emma Freemen that he wrote a book about her called, “With Nature’s Children”. It turned out that during her own lifetime Emma Freeman was actually quite well-known. In his book he details her extraordinary life and all of her accomplishments in the realm of the photography. She was not only a skilled photographer, but also an amazing and rather successful entrepreneurial business woman. Her story has a little bit everything in it: there’s triumph, there’s tragedy, there’s a bit of intrigue, and even a hint of scandal. But above all else, there is this amazing woman at the center of the story: a great photographer who was acclaimed in her own day, but who had been lost to time until Peter Palmquist went and found her, and wrote about her again. And his quest for information didn’t stop within Emma Freeman. He actually championed uncovering the stories of many early photographers, particularly early women photographers, whom he felt were really the ones who got overlooked by history. He published dozens of books, hundreds of articles, and organized exhibits that celebrated their work. He even collected their work as much as he could find. One of his books, “Camera Fiends and Kodak Girls”, is one of the first books that I ran across of his work. That’s the book that introduced me to Elizabeth Whittington and her article on how do landscape photography with petticoats and parasols that I talked about in Episode 8. His body of work was really instrumental in introducing modern audiences to these women who did photography but who hardly anybody knew existed. He didn’t just profile professional women running studios of their own, he also tracked down information about the talented amateurs who won awards and did a lot of artistic work that got acclaim in their own lifetimes. There are other women who worked doing re-touching and things like that; he cataloged and profiled all of these women as well. The breadth of information he found was astonishing. He did a general directory of thousands of photographers — both male and female — who were active in the western states in the 19th century. He also produced a two-volume work called “Shadow Catchers” that catalogs over 2000 women who were active in photography in just California alone prior to 1920. By 2002 he’d actually collected an array of information on over 31,000 women who were active in photography between 1839 and 2002. Let me let that sink in for a moment. He compiled a list of names, locations, and dates of women photographers that includes more than 31,000 women who were active in photography worldwide between 1839 and 2002. Now in 2002 he talked with the Beinecke library at Yale University and arranged to have the collection transferred to them. It’s called the Peter Palmquist Collection of Women in Photography. It includes 471 boxes of biographical material about those (over) 31,000 women photographers. There are an additional 222 boxes of the photos that he collected, also by women photographers. There are other boxes that include all of his research notes; his notes for unpublished works, as well as his published works. As I said, that was a collection that Peter Palmquist gathered from 1971-2002, when he arranged for the transfer to the Beinecke. There’s a database with the 31,000 names that he had collected, with the places and — where possible — with the dates that they practiced their photography. That database had been unavailable — unless you were on the Yale campus — for years, due to technical restrictions. But I’m happy to report that as of this year (2017) it’s finally back online, to be accessible when you’re off campus. Which is great. Because, although all of the material that he collected there in all the folders, in all of the biographical boxes, that’s not digitized. But the names and dates and locations — well that can be just enough to set you on your way. Remember that Peter Palmquist himself started his very first quest looking for information about Emma Freemen, by just knowing her name, the approximate date she was active, and the place where she had her studio. Just a quick example of my own. I had the chance to go to the Beinecke back in the Spring, and I happen to notice a folder that had a little clipping that mentioned a pair of women that I had seen when I looked online in newspapers for Kansas from the beginning of the 20th century. I tracked them as photographers in Kansas for a couple of years in the early 20th century, but then the trail went cold. But there at the Beinecke, in one of Palmquist’s folders, I found a little clipping that he had noticed in a California newspaper that said that these two women had actually moved from Kansas to California, and were photographers later in California. But it all starts with just a little bit of information, and that is one of the values of the Palmquist database. As I said, Palmquist’s collection had information on women active in some capacity as a photographer, not all professional and not all early; he covers the period from 1839-2002, the year the collection was transferred to the Beinecke. Now sadly, in January 2003, Peter Palmquist was struck by a car and killed as he was walking his dog in Emeryville, California. When I started my project looking into early women artisan photographers was long after he was gone, and I actually had never heard of him and his work until I started the project. So unfortunately I never had a chance to meet Peter Palmquist. But since I started work on this project I’ve had the pleasure of talking with people who did know him, in particular his partner, Pam Mendelsohn. I am so grateful to Pam for her generosity in sharing so many books and stories and other bits information about Peter’s life and work. His enthusiasm for discovering the lives, the works, the stories about these women photographers comes across both in his writing, as well as in my talks with Pam, and also in talks with other people who knew and worked with him. So, no, I never had the pleasure of meeting him, but I feel that his spirit and his legacy lives on. And in celebration of our common goal to find and share those stories of early women photographers, the Photographs, Pistols & Parasols project is dedicated to the legacy of Peter E. Palmquist. Peter Palmquist once said the real message is that when your passionate about anything, that’s kind of what life’s about. So whatever your ideas what everyone pursue do it wholeheartedly and don’t ever let anyone tell you can’t … you can do it! That’s an outlook shared by all the women will meet on this podcast. I hope you’ll join me on season 2 as I introduce you to more of these women.